or not at all, in the new spaces. 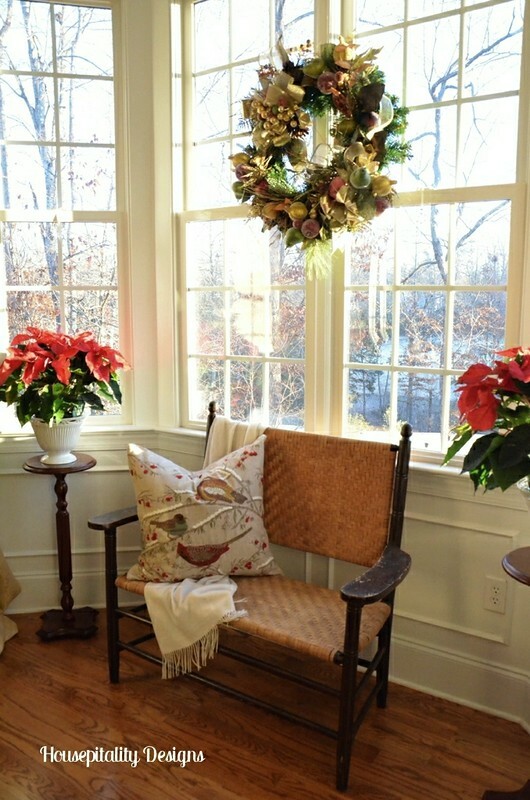 may wind up in a totally different area or room and take on a new appearance and purpose. This is the case with a bookcase which has always been in bathrooms of former homes. 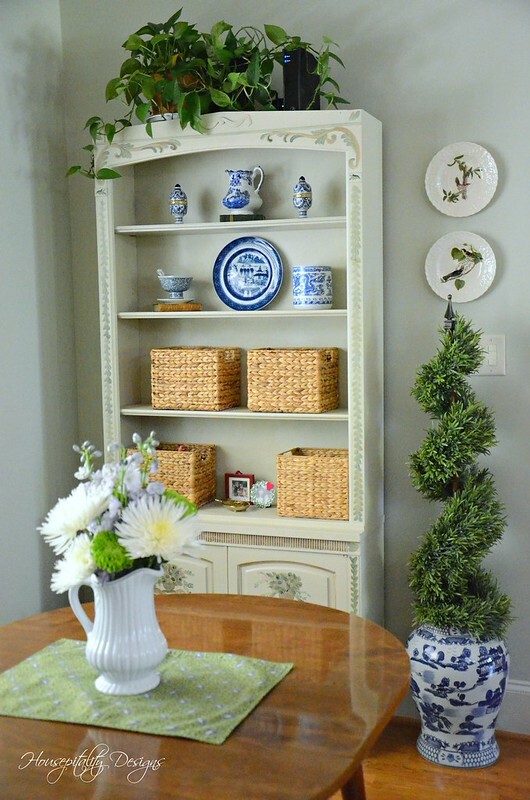 But this bookcase has landed in the breakfast room at the Berry Patch House. 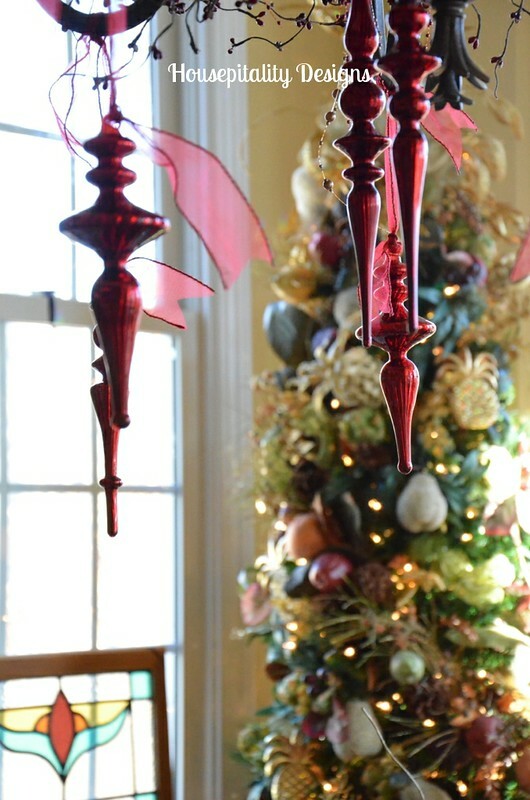 Today you will see the Breakfast Room doubling as an office and a Winner!! 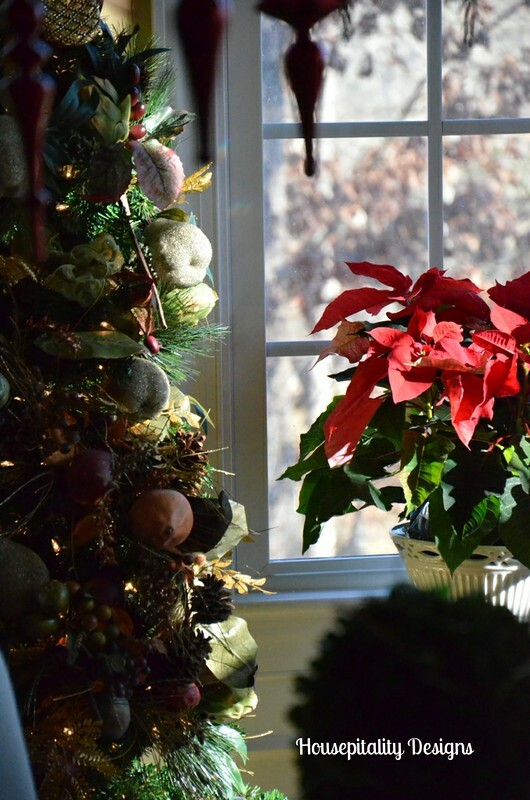 Scroll down below to see if you are the winner of the book “Beautiful” by Mark D. Sikes. that you first see when you enter my home . . . 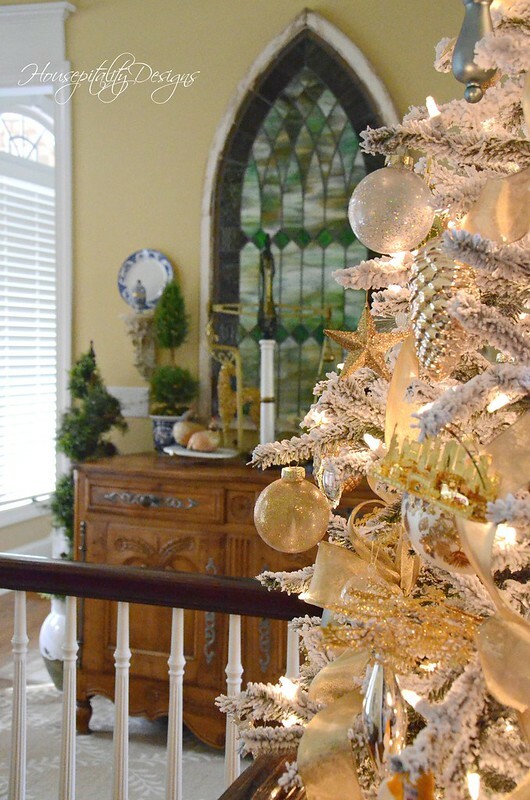 The Foyer for Christmas. 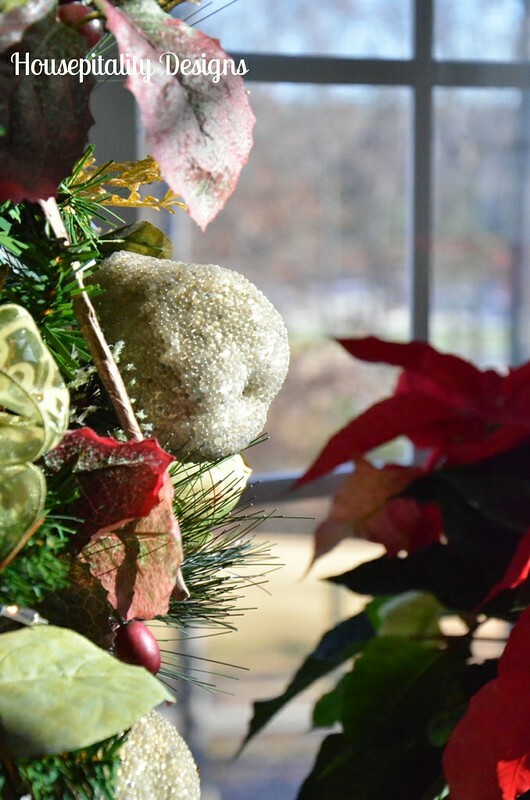 I have collected over the years, I am trying to embellish the things that I already have. 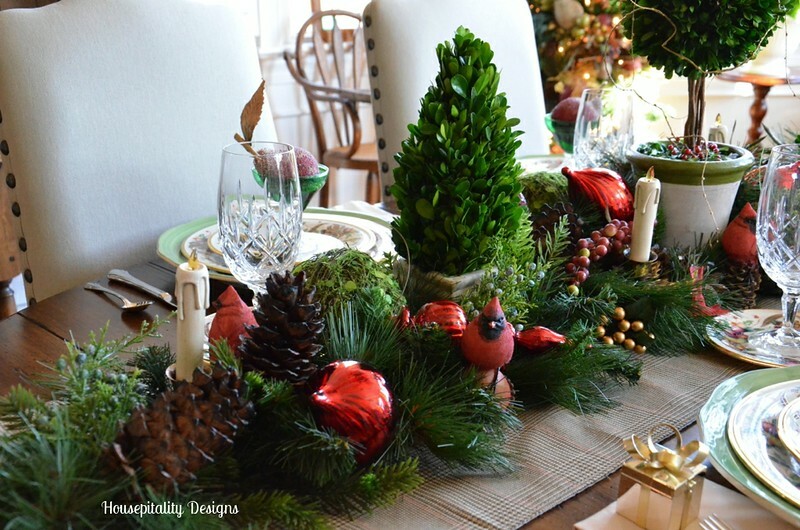 This way I do not have to banish lots of accessories into the attic. just scaling down a bit. 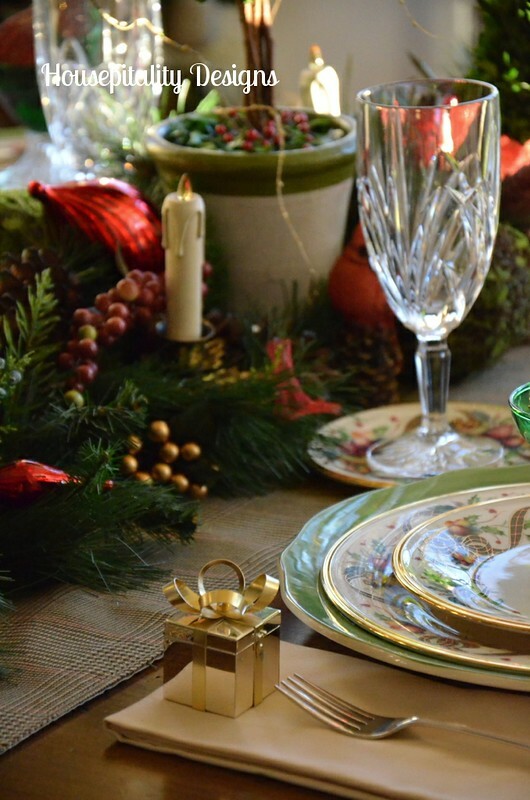 By now, most of you know that I have been purging, packing and staging my house. I am methodically moving from one room to another. 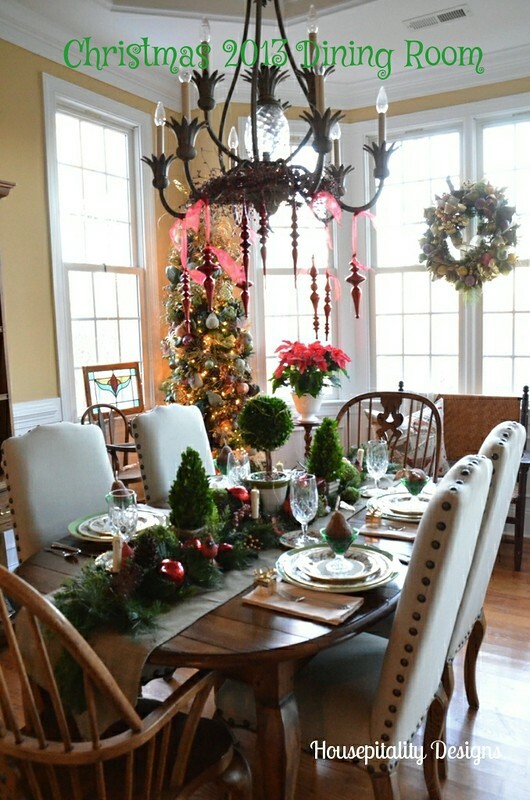 The Great Room . . . . done! 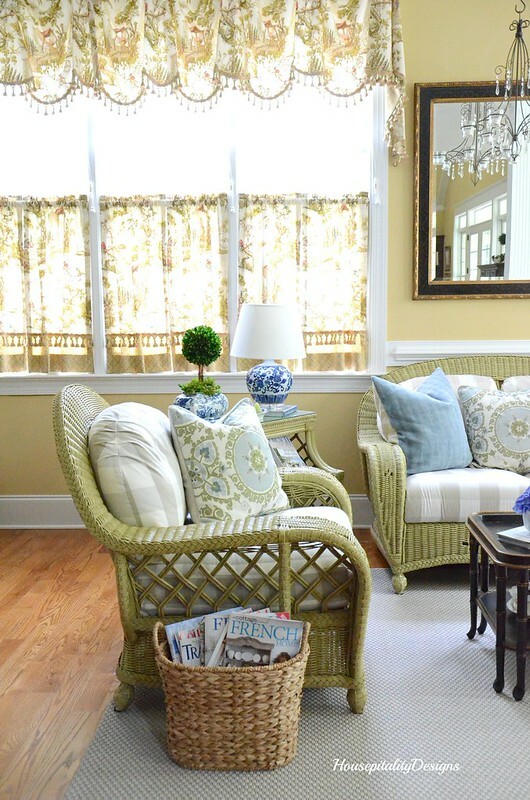 Then on to the Sunroom . . . and I can now say . . . . done! 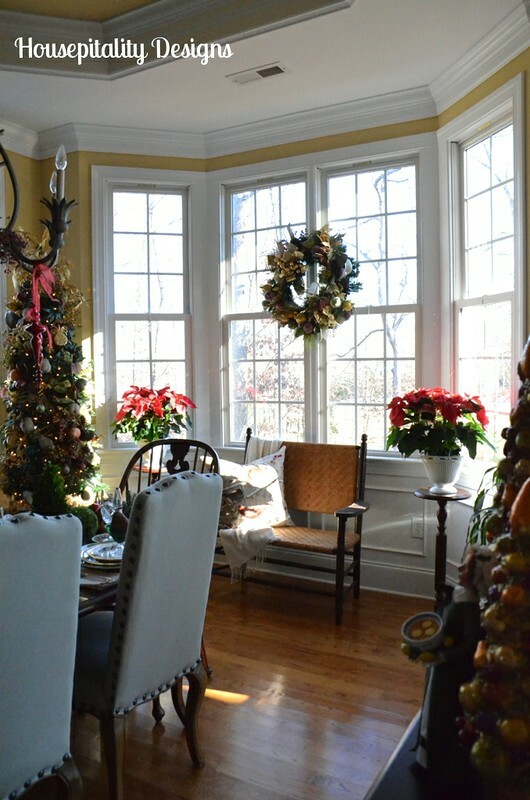 So here is The Lighter Sunroom. Happy New Year everyone! Hope you all had a wonderful start to 2017! 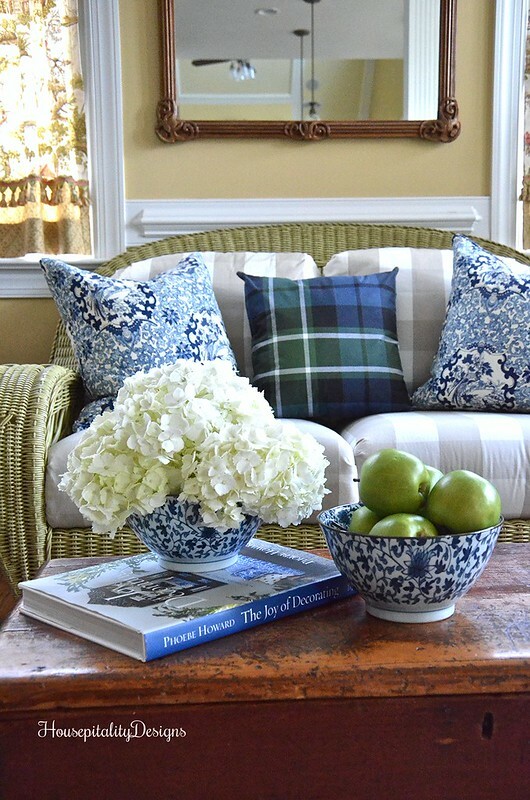 My start to the New Year in my home is a New Year’s Blue and White Sunroom. as the wicker is a celery green in color. But what goes well with green? …. blue! attending one of my hubby’s tournaments. Between games, I did the usual. I looked up the nearby HomeGoods from my phone and off I went. as I do find things that my local stores do not have. 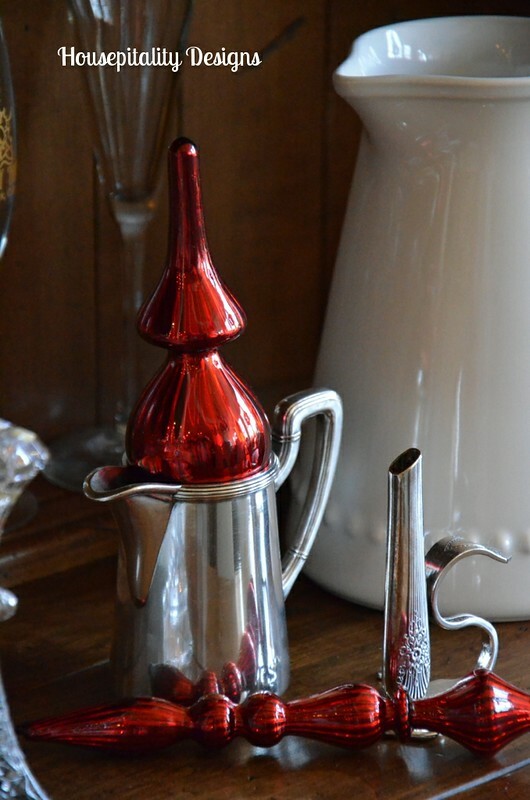 when I replaced the blue accessories in the sunroom to red. 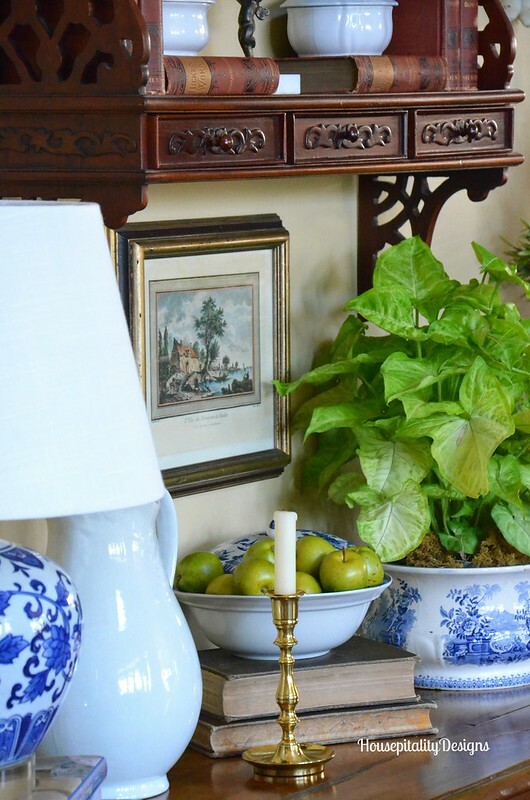 The blue items shifted to another room which caused the usual domino effect. 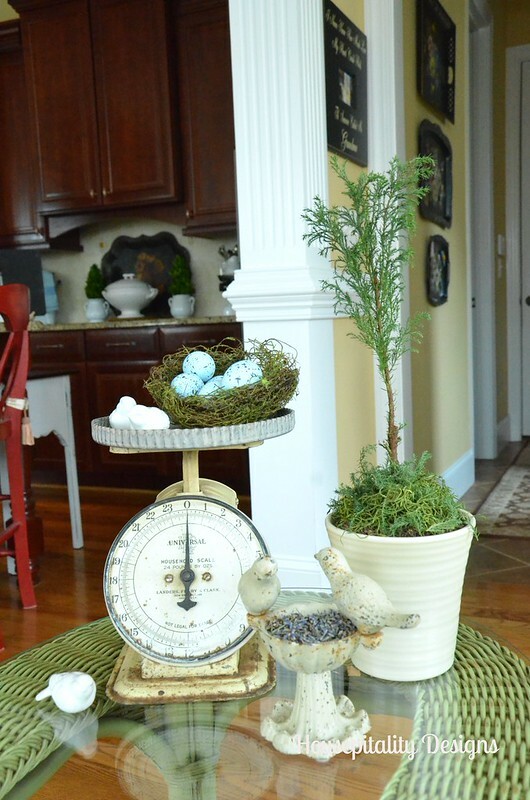 when you can make the plants or flowers even prettier by using vintage items. 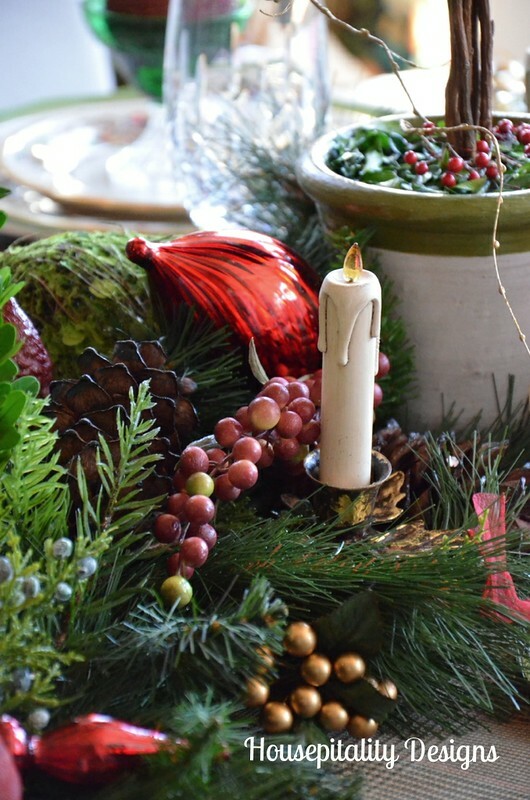 So today, I will show you how I use vintage items for all of my plants and flowers. 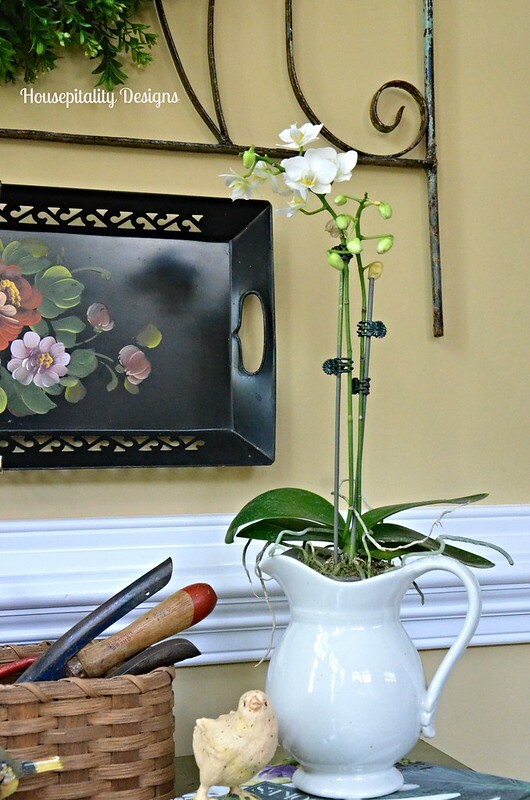 You know those orchids that you can get quite inexpensively at the grocery stores? 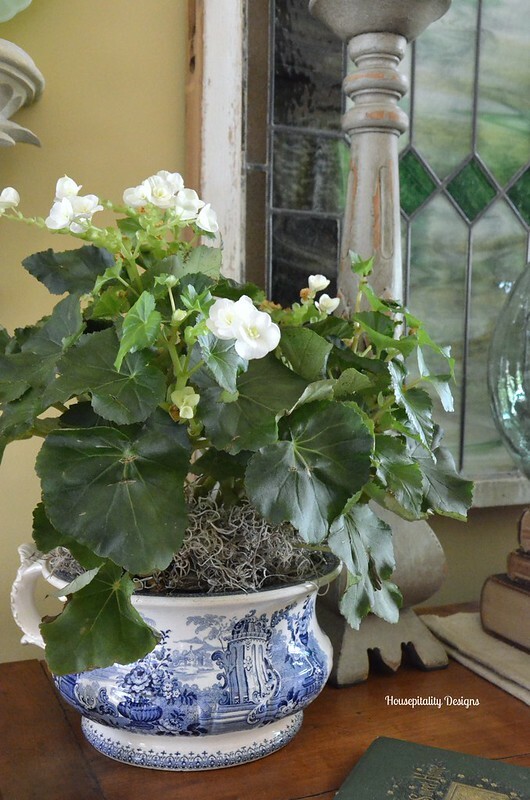 or any other vintage container that will beautifully accommodate the plant. I usually remove them from their department store containers. 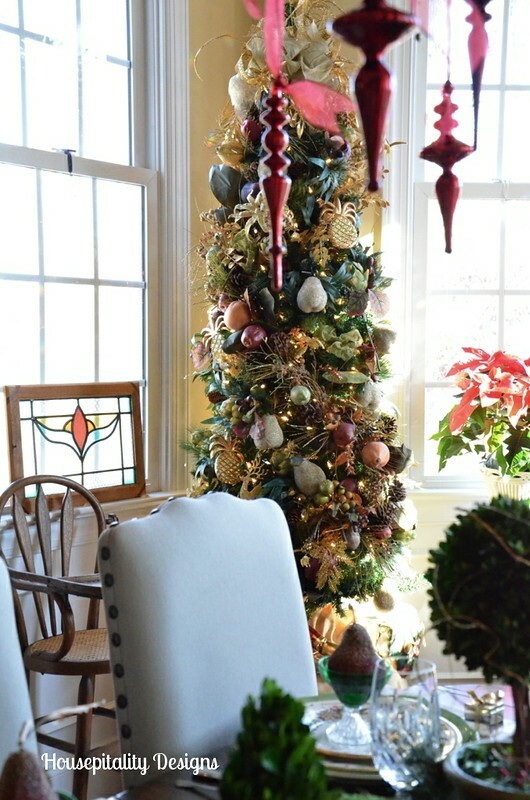 This particular one, I placed in a vintage McCoy flower pot. 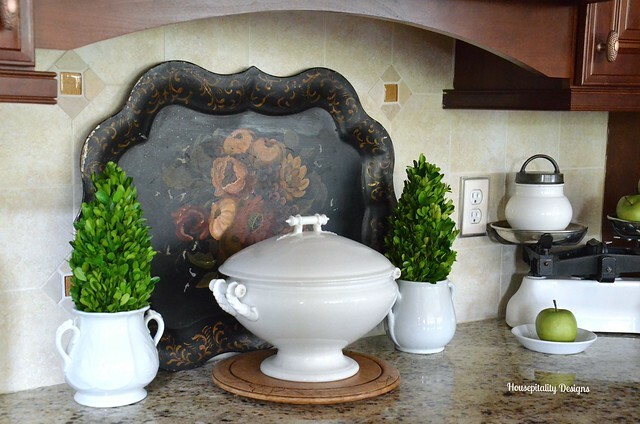 and placed them in vintage ironstone sugar bowls. that was purchased at a great price because it did not not have a lid. 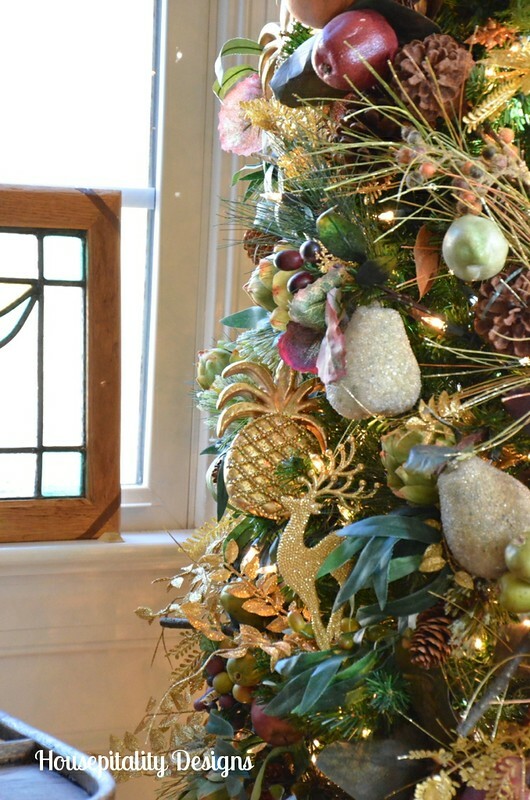 I am now experimenting with adding faux to real plants. 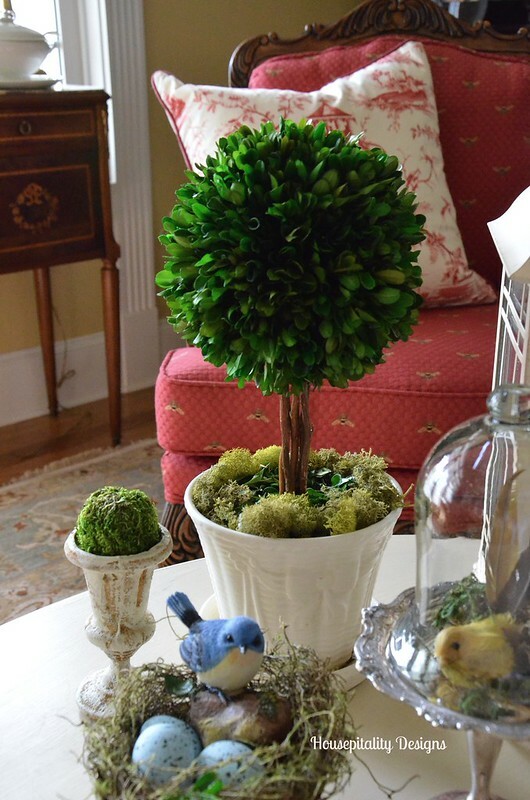 I took a faux boxwood topiary ball . . . attached it to a stick . 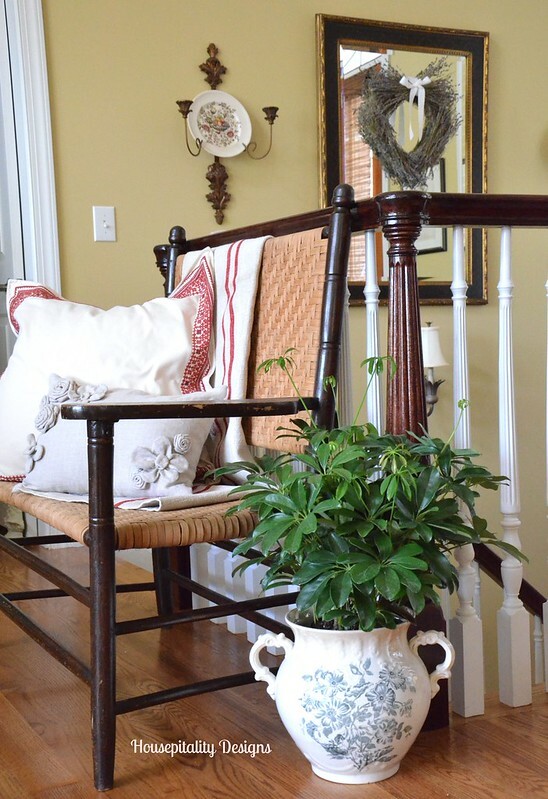 . .
and placed it in the center of the live plant that is in a vintage ironstone commode. 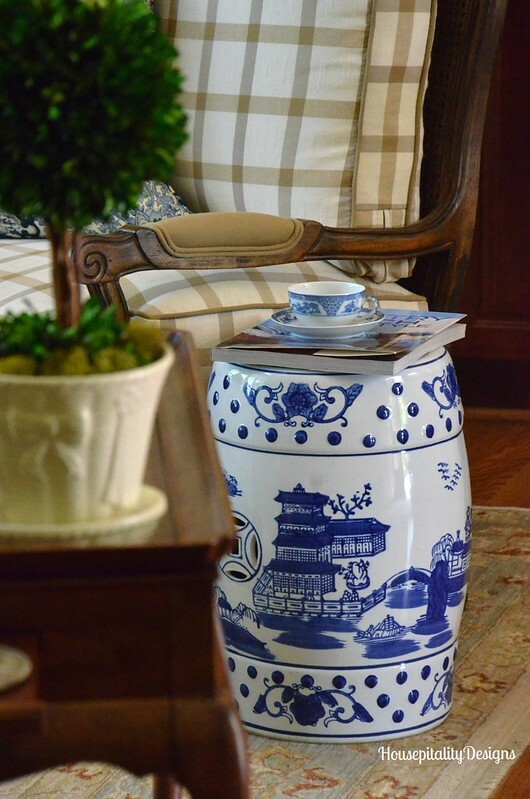 This vintage transferware urn previously contained faux evergreens. 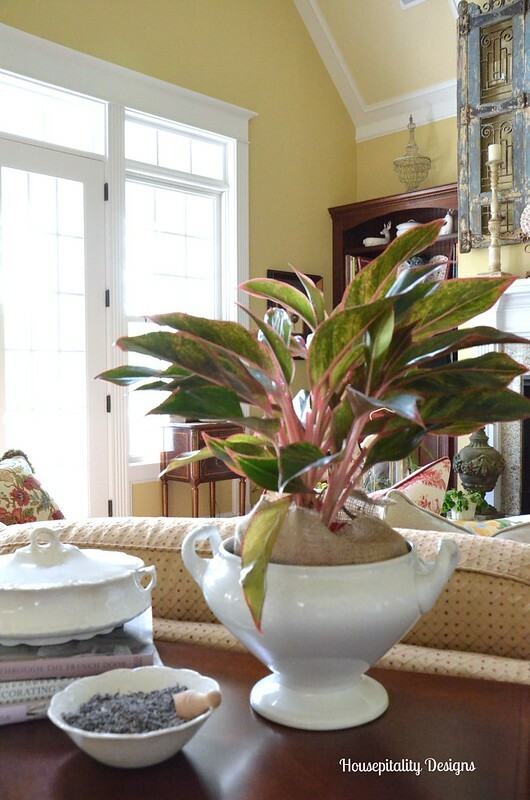 Removed the faux with a pretty green tropical plant (that I call an umbrella plant). a gift many, many years ago from a friend. It was a family piece. Many of us place a plant in these olive buckets. I just love the difference in the textures. Great juxtaposition of natural and rusty metal. 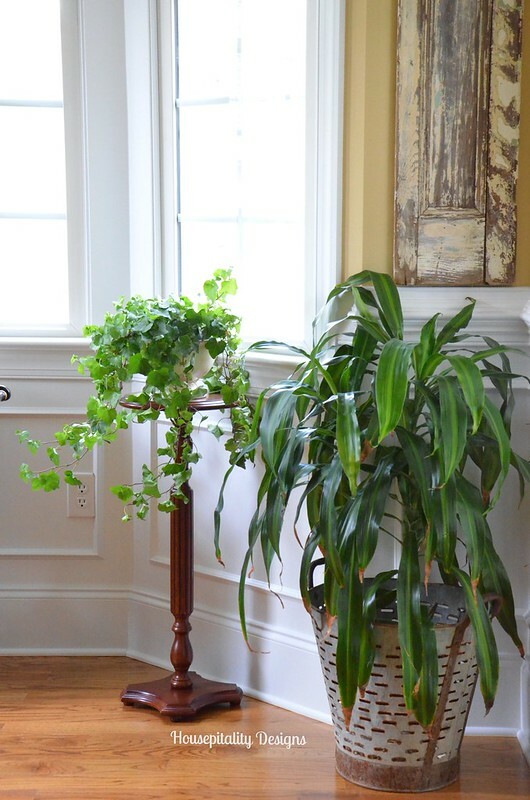 I am making a conscious effort to “go green” with my plant containers. Maybe that will give me more of a green thumb! To use the gently used treasures of the past. On another note . . . I was in Florida last week. Another season of bleachers and red clay. however, feel that I know her. That’s me on the left, Sherry from No Minimalist Here, and my friend Merry. 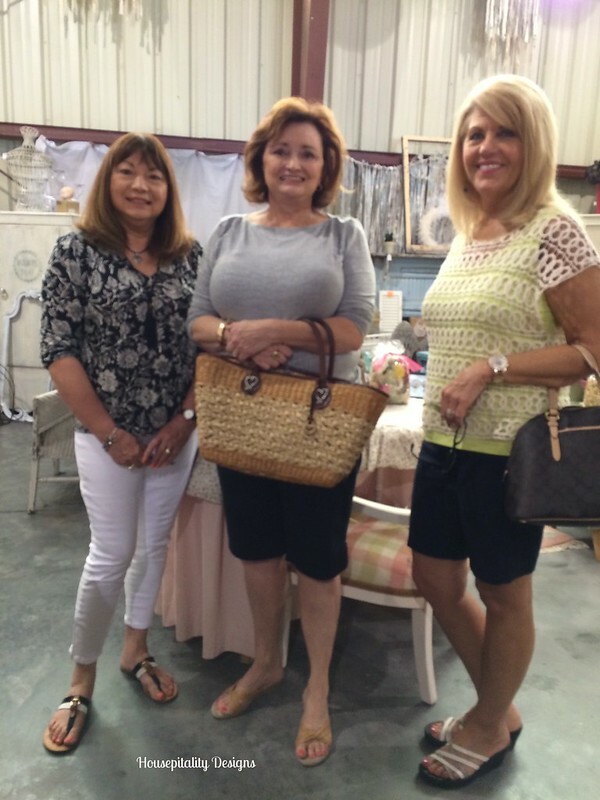 Sherry is a joy!…We had lots of fun and she took us to her favorite antique places. So happy that I finally got to meet her and can’t wait to see her again at Haven. It is always so wonderful to be able to meet fellow bloggers and get to know them. 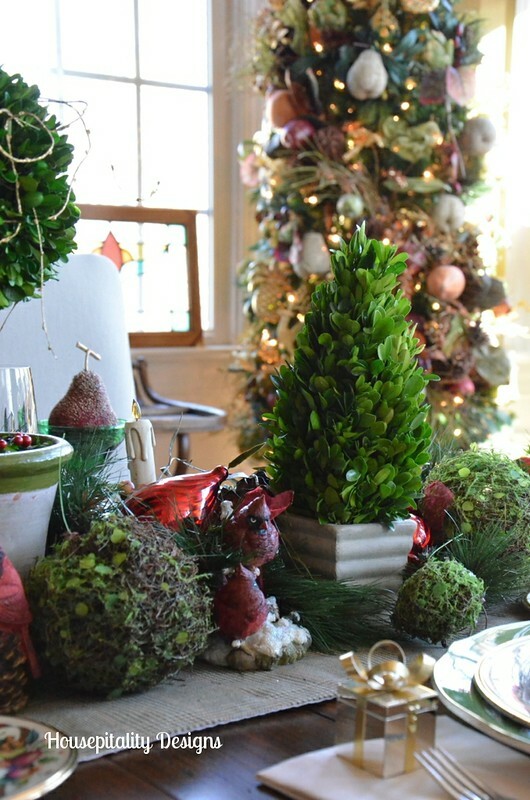 rosemary topiaries, and small cypress trees. 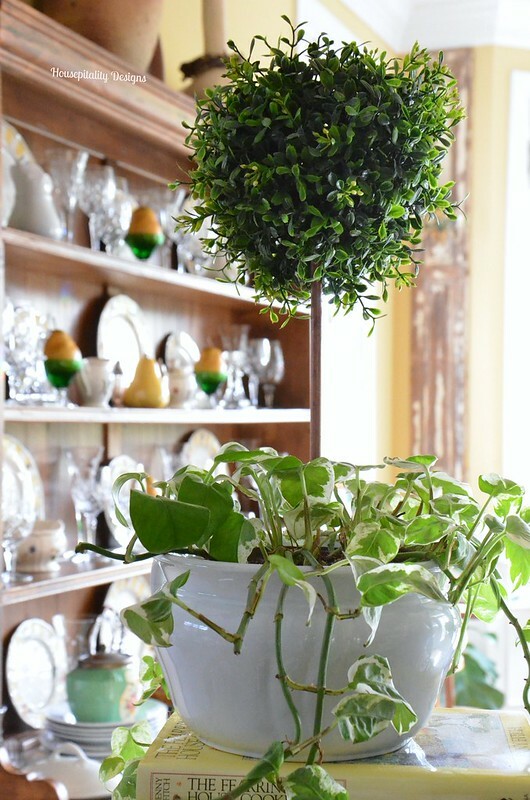 partially due to it just not being a typical houseplant. I had one that just did not make it. It dried and however, kept its color. 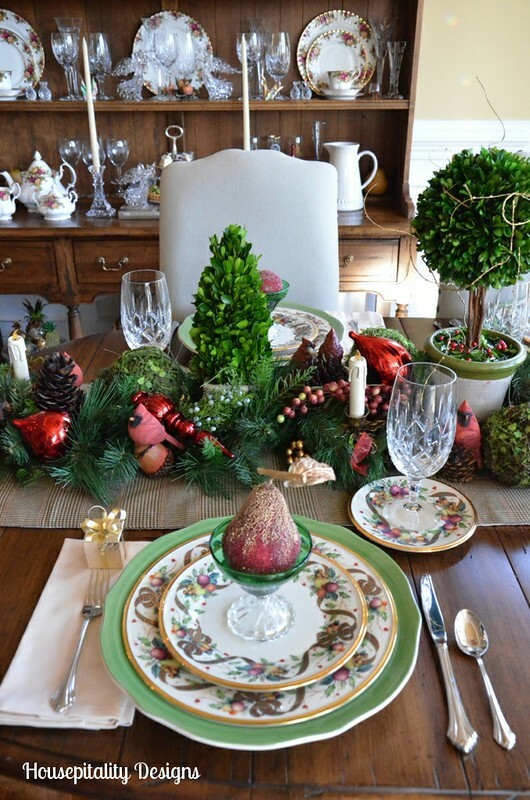 I thought I would change out my china this year for the Christmas table . .
~ ~ but I love it so much that I used it again this year. 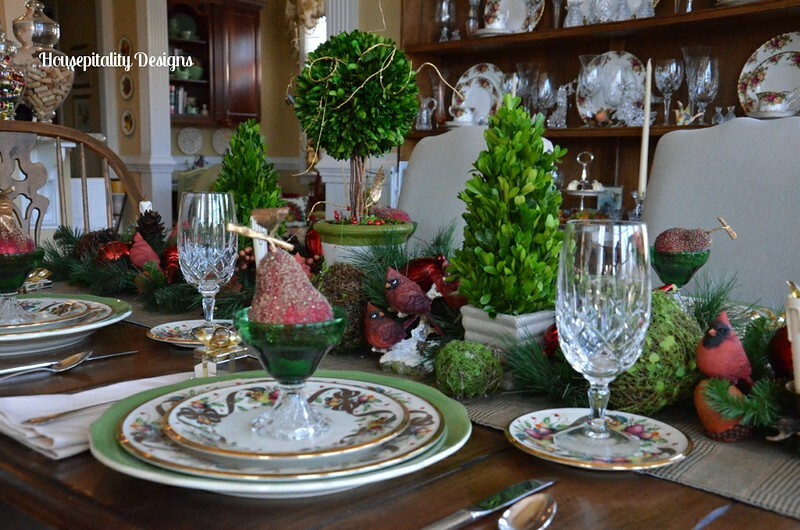 For today, the table is set, a “greenscape” . .
~ ~ a little less sparkle and a little more green this year. 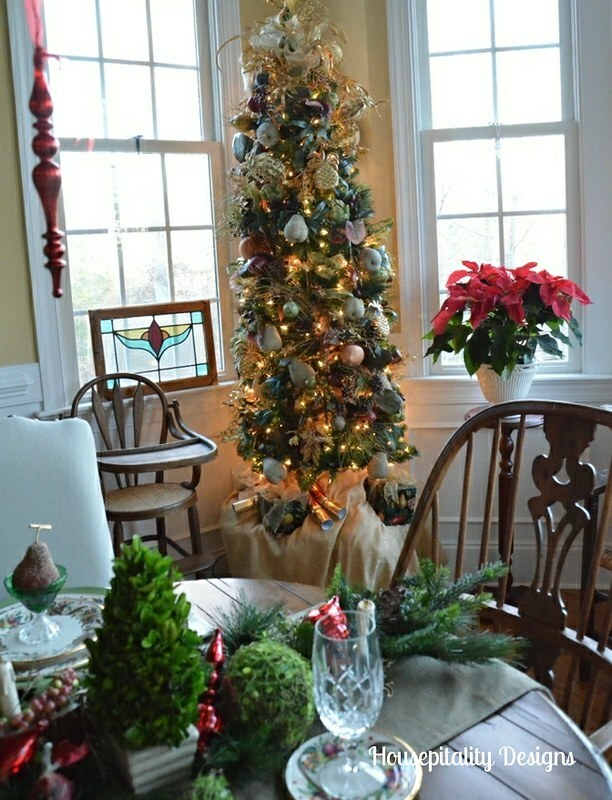 The tree of fruit stems and garlands sits in the corner as it did the years past. 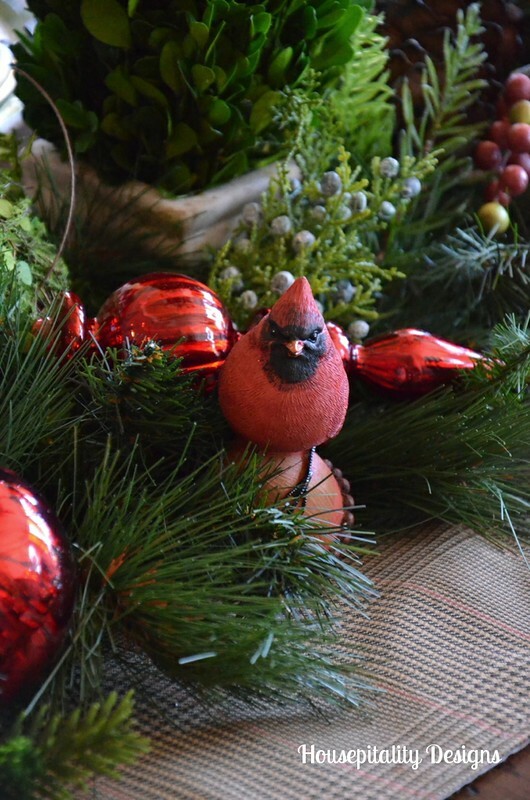 I placed a garland of greenery and added topiaries, cardinals (our state bird), ornaments and candles. ~ ~ the bird has such a serious look! 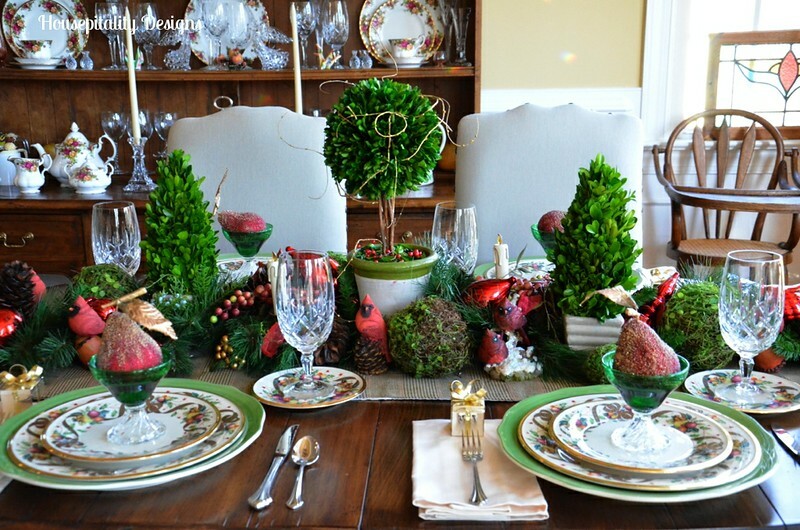 The place setting of Lenox Holiday Tartan . .
~ ~ Green charger by Franciscan. 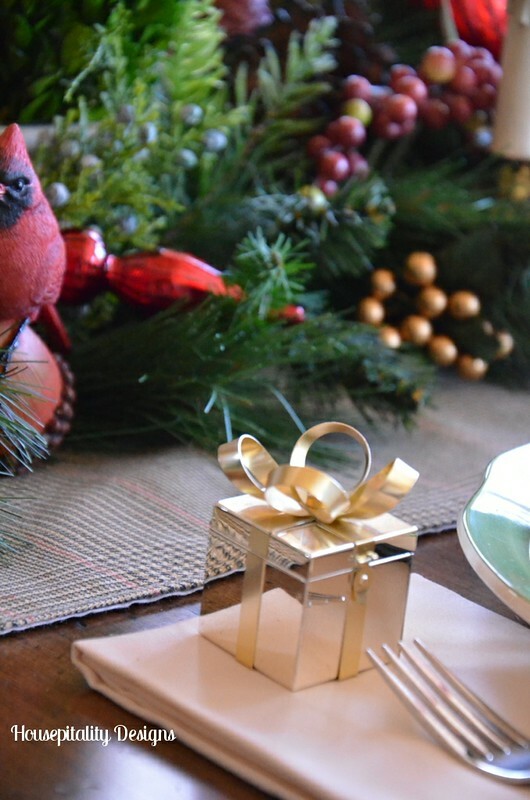 A gift package ornament is placed on the napkin . .
~ ~ it is filled with a “surprise” that my granddaughter has placed in it. We were told “not to peek”!! 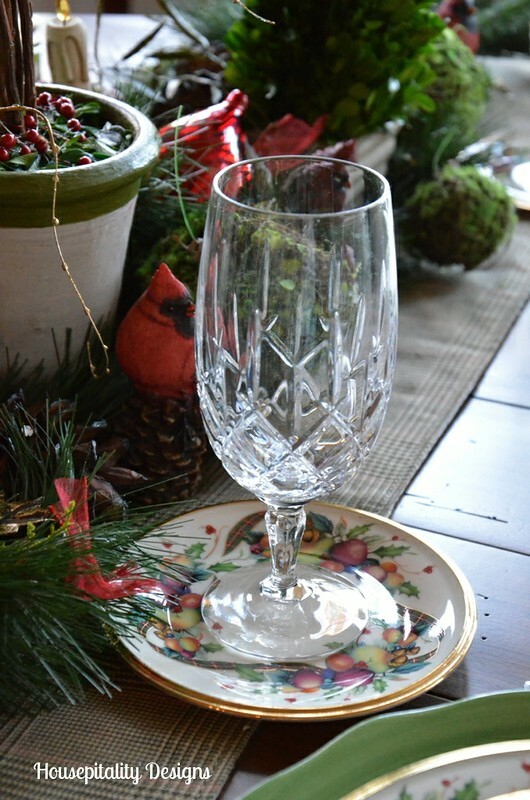 I utilized the bread and butter plate as a “coaster” for the stemware. 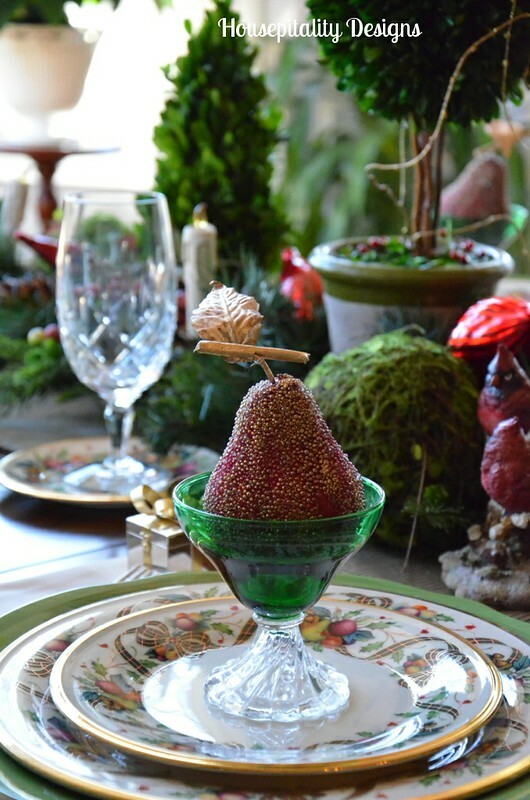 A beaded pear is placed in a vintage sherbet/custard glass. 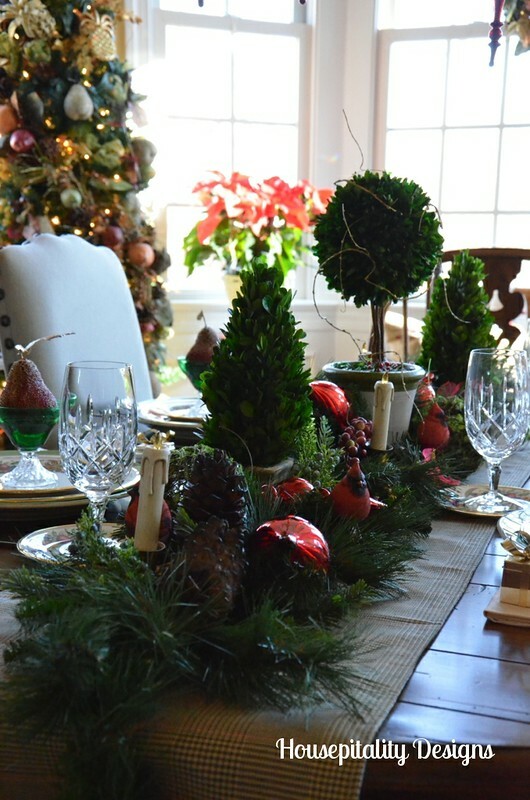 I also used the same glen plaid table runner that was on the table for Thanksgiving. 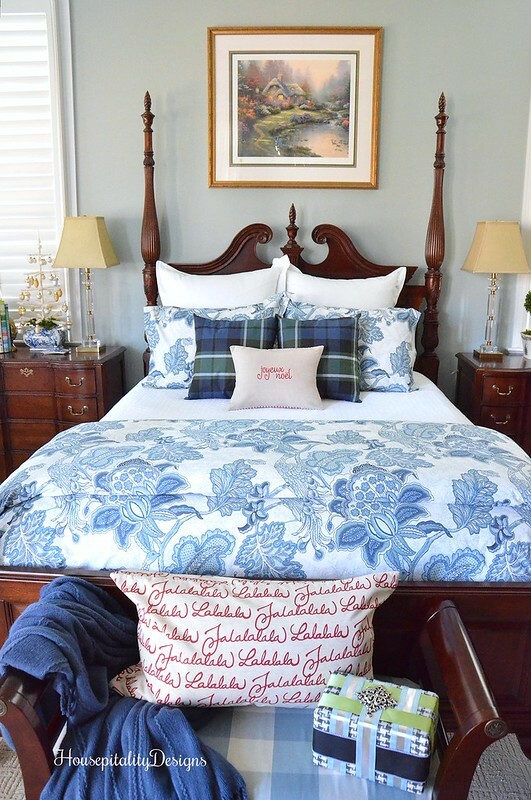 Taking you around the room . .
A new Pottery Barn “winter birds” pillow sits on the antique bench I purchased at the Country Living Fair. 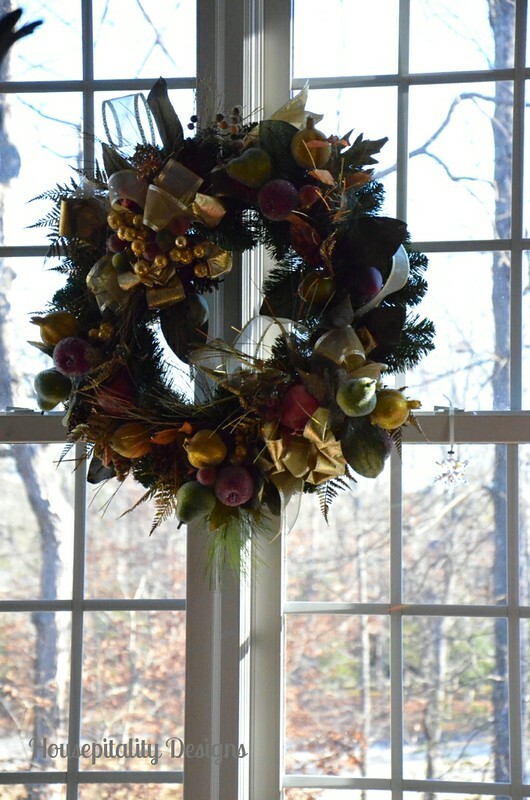 A wreath of guilded and beaded fruit and ribbon. 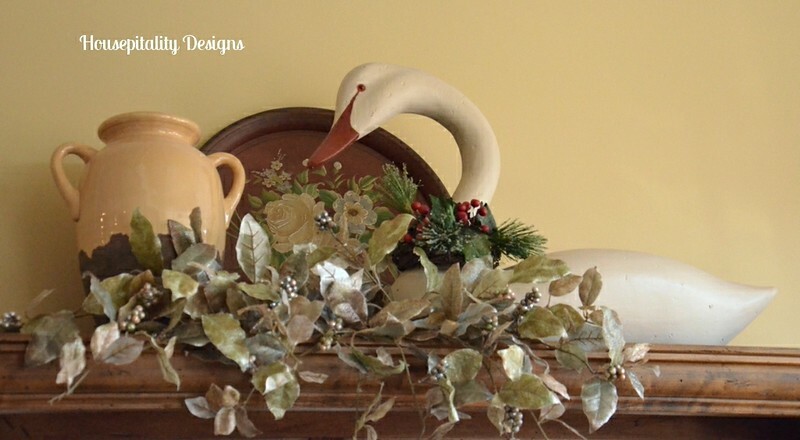 The vignette on top of the dining room hutch..
~ ~ just added a couple of stems of silvery green leaves. 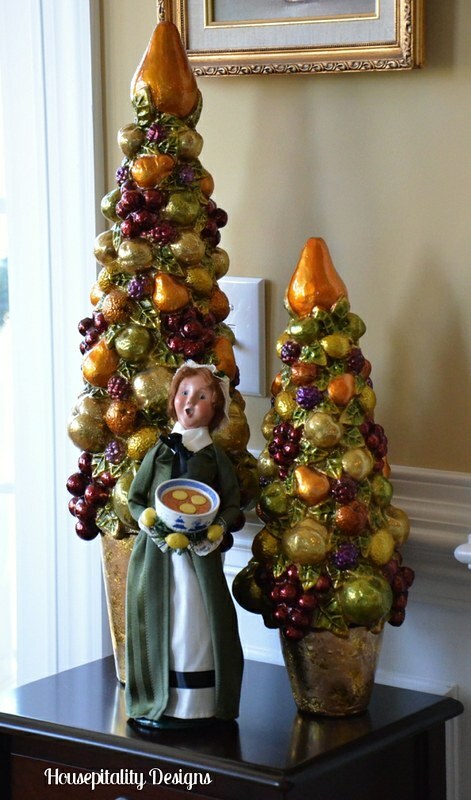 A vignette of trees of fruit and a Byers Choice Caroler. 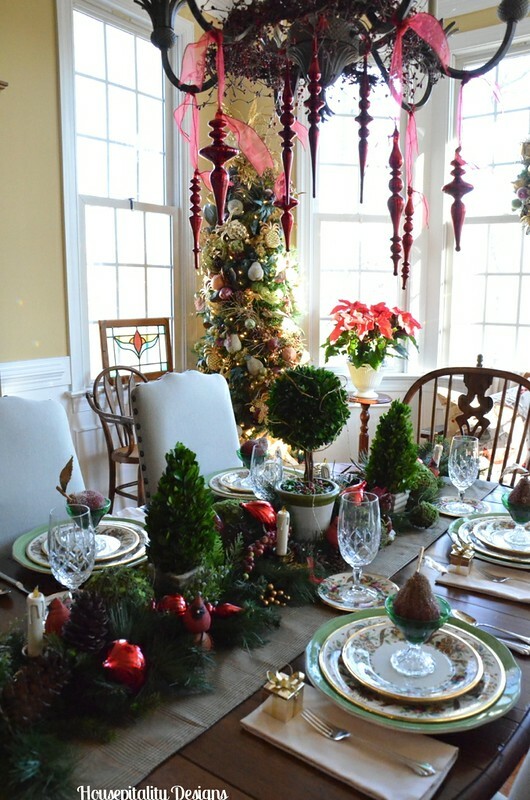 A few more rooms to be “fluffed” for the holidays ..
~ ~ definitely “trying” to keep the decor more simple this year . . Thanks for visiting ~ ~ Have a beautiful day! !